Source for this information is from the excellent book “The Way of Divine Love”, by Sr. Josefa Menendez, available from St Benedict Press by clicking here. 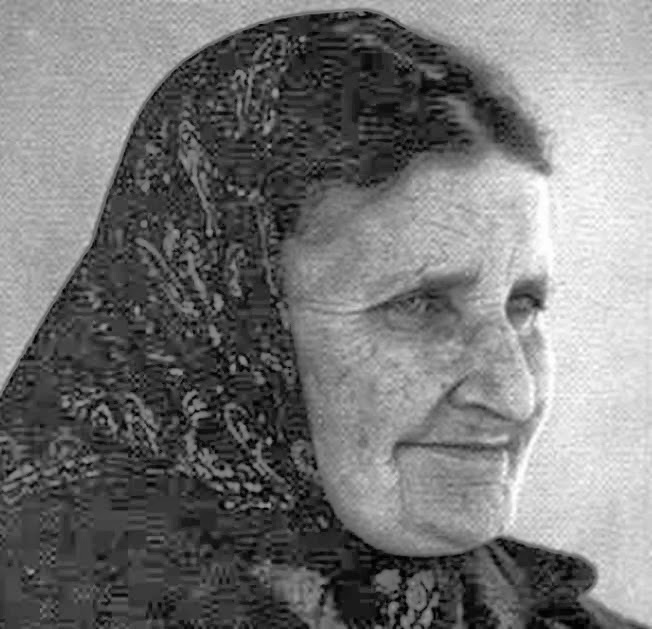 Sister Josefa Menendez was born on February 4, 1890 in Madrid, Spain. 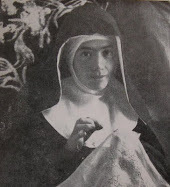 Being of Spanish descent, she initially sought to enter the religious life in Spain, but God’s Providence lead her elsewhere and eventually, after many trials, she entered a French Convent and became a Coadjutrix Sister of the Society of the Sacred Heart in 1920 at age 29. As far as external appearances go, nothing signalized that Josefa was in any way fitted for so high a mission as to bring forth a Message of Jesus to the world. She was a religious Sister for only 4 years before her death and prior to this she repeatedly delayed entering into the religious life. Then if we take in consideration her humble rank in the Community, her status as a mere novice, her reserved natures and great love of retirement, and the very real obstacle of her ignorance of the language of the country (French), -all these hindrances combined would at first sight appear insurmountable to the proclamation of a Message to the world. In reality however they were signs of God's choice. Though she was but a simple novice, often reserved and quite meek, she would show later an unconquerable strength of will. In the blinding light of divine revelations, she only crept deeper into her littleness, and the closer God drew to her the more she humbled herself. In spite of the evidence of God's action, she was ever fearful of being deceived herself, and of deceiving her Superiors. In reality her Superiors had rarely met with a more obedient and docile subject, or one more deferential, more eager to submit to their authority, more ready to sacrifice herself. In her devotions, as in everything else, there was no exaggeration; she was sincere, straightforward and simple. She was mentally healthy and had a well-developed spirituality and devotion. The supernatural graces and gifts, whose weight was often crushing, purified her to the depths, though her spiritual equilibrium was at times shaken by the extraordinary visions and communications, which at times required an almost superhuman endurance. All this was in reality the best guarantee to Superiors that her communications were divine in origin. 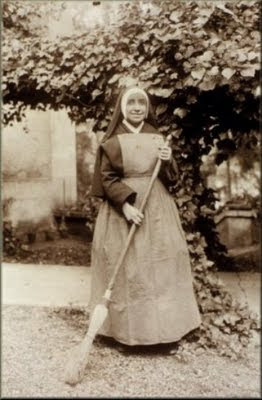 Her daily life within the Convent was very ordinary as she carried out her humble tasks and chores with grace and humility. 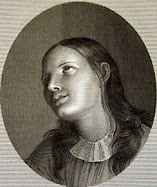 Her fellow Sisters did not know of the extraordinary graces and lights that God was bestowing upon His humble servant, nor did they know of the inner struggle Josefa was undergoing as the devil tempted her to doubt God's voice and her Religious calling, but through it all Josefa maintained a strong prayer life, which aided her in resisting the deceitful voice of the evil one. It was because of her simplicity, humility and ordinary life that our Lord said to Sister Josefa: "You yourself shall be My sign." And elsewhere our Lord said to her: I will reveal to you the burning secrets of My Heart and many souls will profit by them. I want you to write down and keep all I tell you. It will be read when you are in Heaven. Do not think that I make use of you because of your merits, but I want souls to realize how My Power makes use of poor and miserable instruments." 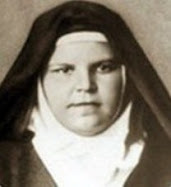 Sister Josefa Menéndez, died a holy death at age 33 on December 29, 1923, at the Convent of Les Feuillants, Poitiers, France. 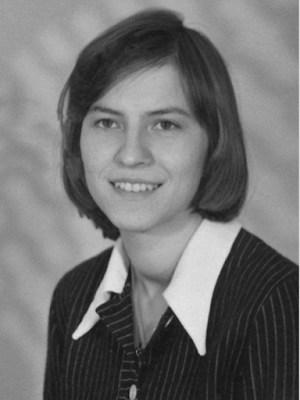 She lived as a sister in the Society of the Sacred Heart only four years, and in so hidden a way that the world ought never to have heard of her, and even in her own community she should have soon been forgotten. It was not until after her death that her fellow religious Sisters heard of all the extraordinary graces that God had bestowed upon her. On November 13, 1923 shortly before her death, our Lord had said to Sister Josefa: "My words will be light and life for an incalculable number of souls, and I will grant them special graces of conversion and enlightenment." 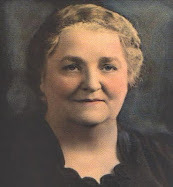 These words have been verified, for as soon as the first volume of Sister Josefa’s writings appeared, it was eagerly read and promulgated, and was quickly reprinted several times, while letters from all parts of the world gave testimony to the profound impression it created and to the signal graces that followed on the delivery of the Message. Within a few months the book had been translated from the original Spanish into French, then into Portuguese, Italian, English, Chinese, and Hungarian, thus helping to fulfill our Lord's wish that His call to the way of love and devotion to His Sacred Heart should be known everywhere. "The world does not know the mercy of My Heart. I intend to enlighten them through you.… I want you to be the apostle of My love and mercy. " “Come all of you to Me and fear not, for I Love you all... I will wash you in My Blood and you shall be made whiter than snow. All of your offences will be submerged in the waters in which I myself shall wash you, nor shall anything whatsoever be able to tear from My Heart its Love for you." "Oh, all you who are steeped in sin, and who for a time more or less long have lived as wanderers and fugitives because of your crimes ... if the offences of which you have been guilty have hardened and blinded your hearts . . . if to grant satisfaction to one or other of your passions you have sunk into evil ways ... Ah! when the motives or accomplices of your sin have forsaken you, and you realize the state of your soul, oh then, do not yield to despair! For as long as a breath of life remains a man may have recourse to mercy and ask for pardon. "If you are still young, if already the scandals of your life have lowered you in the eyes of the world, do not be afraid. . . . Even if there is reason to treat you as a criminal, to insult and cast you off . . . your God has no wish to see you fall into the flames of hell. ... On the contrary He ardently desires you to come to Him so that He may forgive you. If you dare not speak to Him, at least look at Him and let the sighs of your heart reach Him, and at once you will find His kind and fatherly hand stretched out to lead you to the springs of pardon and life. "Should it happen that you have spent the greater part of your life in impiety and indifference, and that the sudden approach of the hour of death fills you with blinding despair . . . Oh! do not let yourself be deceived, for there is still time for pardon. 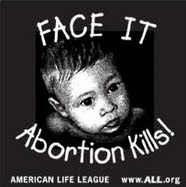 If only one second of life remains to you, in that one second you can buy back eternal life! "If your whole life has been spent in ignorance and error . . . if you have been a cause of great evil to other men, to society at large, or to religion, and if through some set of circumstances you have come to realize that you have been deceived ... do not allow yourself to be crushed by the weight of your sins and of the evil of which you have been the instrument; but with a soul penetrated with deep contrition throw yourself into an abyss of confidence, and hasten to Him who awaits your return only to pardon you. "The case is the same for a soul that has been faithful to the observance of My law from childhood, but who has gradually cooled off into the tepid and unspiritual ways of an easy life. She has so to say forgotten her soul and its higher aspirations. God was asking of her greater efforts, but blinded by habitual failings, she has fallen into tepidity worse than actual sin, for her deaf and drowsy conscience neither feels remorse nor hears the voice of God. " "Then, perhaps, that soul awakens with a shock of realization: life appears to have been a failure, empty and useless for her salvation .... She has lost innumerable graces, and the evil one, loath to lose her, makes the most of her distress, plunges her into discouragement, sadness and dejection ... and finally casts her into fear and despair." "Oh soul whom I love, pay no heed to this ruthless enemy ... but as soon as possible have recourse to Me, and filled with deepest contrition implore My mercy and have no fear. I will forgive you. Take up again your life of fervour, and you will have back your lost merits, and My grace will never fail you. " "Finally, shall I speak to My chosen souls? Supposing that one has spent long years in the constant practice of the Rule and of her religious duties......a soul that I have favoured with My grace and instructed by My counsels . . , a soul long faithful to My voice and to the inspirations of grace . . . and now this soul has cooled in her fervour on account of some petty passion . . . occasions of faults not avoided ... some yielding to the claims of nature and a general relaxation of effort . . . and in conse­quence has fallen to a lower level . . . to a commonplace kind of life ... then lastly, to give it its true name, tepidity." "If, for one cause or another, you awake from this torpid state, the devil will instantly attack you in every way, jealous of a soul he. hopes to claim. He will try to persuade you that it is too late, and that my effort is useless, he will accentuate your repugnance to make an avowal of your state of soul ... he will, so to speak, throttle you to prevent you from speaking and accepting the light he will do his best to stifle trust and confidence in your soul." As soon as your soul is touched by grace, and before the struggle has even begun, hasten to My Heart; beg of Me to let a drop of My Blood fall on your soul. . . . Ah! hasten to My Heart . . . and be without fear for the past; all has been swallowed up in the abyss of My mercy, and My love is preparing new graces for you. The memory of your lapses will be an incentive to humility and a source of merit, and you cannot give Me a greater proof of affection than to count on My full pardon and to believe that your sins will never be as great as My mercy, which is infinite. "Remain hidden, Josefa, in the abyss of My love, praying that souls may be filled with the same sentiments." "Many little wounds were lacerating His Heart," she wrote. Then to console Him, I offered Him the love of Our Lady, of the Saints, of all faithful souls, and even mine. "'Yes, Josefa, love Me and never tire of telling Me of your love.' "
" 'And so do I love you,' she heard Him answer during her prayer. "He came with no radiance round Him, looking like a beggar; I was silent. But as He continued to gaze sadly at me I ventured to speak, and I told Him how much I longed to comfort Him. "Twice in the course of my work He asked me again whether I loved Him. 'Say it often, to make up for the forgetfulness of so many.' "
That day, Monday, and of November, she spent entirely in that divine company. "He seemed to take delight in the answer He forecast: 'Lord, I do it because I love Thee. See all the tiles of this corridor?-as many as there are is as many times I say: 'I love Thee, Lord!.' "
Later on she had to go and fetch some coal from the garden: , "What are you going to do?' our Lord asked her. "I am going to try and prove my love for Thee by all these little things." she replied. "Josefa, all I ask of souls is their love, but they give me only ingratitude. I would like to fill their souls with grace, but they pierce my Heart through and through. I call them, and they turn away from Me. If you accept, I will give you charge of souls, and by your sacrifices and love you will win them for Me." He left me His Cross and disappeared. " "He remained a moment in silence and with joined hands. He looked so sad and at the same time so beautifull His eyes spoke more than His lips. "He vanished. I think it must have been about one o'clock, and I kept His Cross till a little after four." Sister Josefa Menedez feast day is December 29. 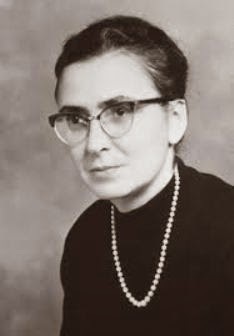 The diocese of Poitiers, France opened the diocesan process for the cause of canonization of Sister Josefa Menendez del Moral on November 30, 1948. -Sister Josefa Menendez, pray for us! She reminds me of the monks at St. Andrew Abbey in Valyermo, CA about one hour from Los Angeles. We are so blessed to have this monastery in the desert. The chapel there is so peaceful and is open 24 hours a day. God Bless Sr. Josefa and all the monks. You are indeed really fortunate to have the monks at St. Andrew Abbey nearby with the 24 hr. adoration chapel. We only have Eucharistic adoration on Fridays in my area. This is such a wonderful site that you have. 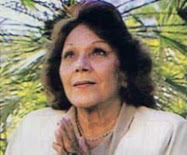 Sister Josefa Menendez is one of my favorites in your list of mystics. I went to Poitiers in 1985, but was too far out of town to find her convent 'Les Feuillants' and her grave. But I stumbled across two websites by the Society of the Sacred Heart in France (Poitiers) and Belgium (Brussels). They are both called 'The Work of the Sacred Heart; in French, L'Oeuvre du Sacre Coeur' I saw some pictures of 'Les Feuillants', along with Siter Josefa's grave! I was thrilled to find these sites! There's also pictures of Josefa's family-her parents and two sisters, Mercedes and Angela. 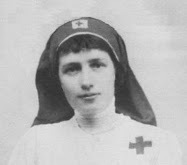 Mercedes entered the Society before Josefa, and died in a Sacred Heart convent in Montpellier, France, in 1942. 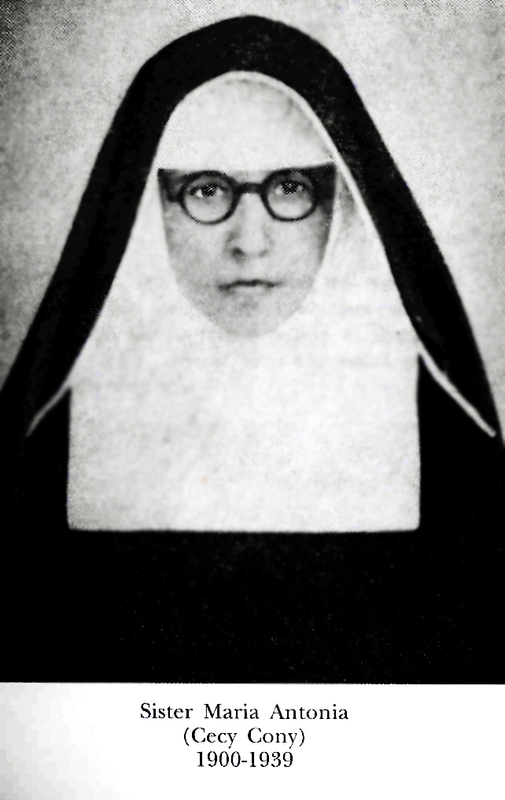 Angela entered the Carmelites in 1926, three years after Josefa died. She went to Portugal, where in 1933-or 1934, I'm not sure which-the Carmel of Coimbra was restored....the same Carmel that Lucia dos Santos of Fatima entered in 1948! I have no idea when Angela died-her name in Carmel was Sister Madeleine Sophie of the Sacred Heart (yep, she took that name in memory of the foundress of the Society of the Sacred Heart)-so it's possible that she was still living when Sister Lucia entered! Thank you for your message and especially for all the interesting information that you provided! I did not know what became of her sisters. I too love Sr. Josefa...she was such a humble and loving soul! -Her devotion to God was extraordinary. -Sr. Josefa Menendez, pray for us! Some of the content on the site is in English, but not all of it. You'll find photos of her convent at 'Les Feuillants' in Poitiers, as well as the photos of her and her family members that I mentioned. One of the pictures shows her in her cell writing-I don't know if this is during an actual vision of Our Lord when He dictated His Message to her. The French Catholic TV network, 'Gloria TV', has a DVD movie on Josefa available for purchase. The picture on the front of the DVD shows 'The Corridor of Love' at 'Les Feuillants' where Josefa had a intimate encounter with Our Lord. It's put out by the 'Oeuvre du Sacre Coeur' in France, which is headquartered at 'Les Feuillants'. I don't know if they have a version for North American DVD players, however. 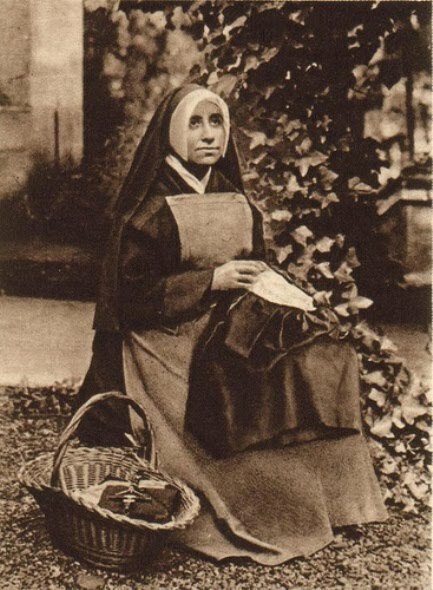 One other thing: remember that Sister Josefa had visions and messages from St. Madeleine Sophie Barat, the foundress of the Society of the Sacred Heart. 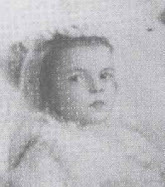 From the early years of the 20th century, St. Madeleine Sophie's incorrupt body has been in Brussels, Belgium, after the Society was expelled from France in the anti-religious persecutions that took place. Well, as of this past June, she is back in Paris! In the middle of that month, her body was returned to France, and she is now enshrined in the Church of St. Francois-Xavier, not far from the Hotel Biron, the former Mother House of the Society (it's now the Rodin Museum). Take a look at the Belgian site-if you know French, it's an added bonus! As I mentioned in my comment, I was so thrilled to finally see Josefa's grave! Thanks again for the interesting information! I love to read about Sr. Josefa. She is such a remarkable soul! I made a mistake about the French TV network that is offering the DVD on Sister Josefa-it's not 'Gloria TV', it's 'CTO'. Sorry about that-I guess I got carried away in telling you about it. I read the book two times. It is a book that has increased my confidence in the love and mercy of God. Sister Josefa is an extraordinary soul that, much like Saint Faustina, was a true apostle of God's love and mercy. 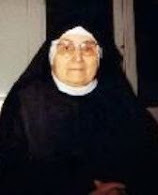 Pray for us Sister Josefa that our sinfulness never keep us from the Lover of Souls! Thanks for your kind comments. Like you, I was really inspired by "The Way of Divine Love" by Sr. Josepha Menendez. This book is definitely in my "top 10" list. And og course St Faustina Kowalska's "Diary" is excellent also. Sister Josepha, pray for us! 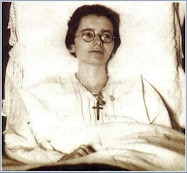 Toward the end of her life Sr. Josefa spent a solid year in grave physical illness and intense spiritual emptiness and aridity, during which she told her Mother Superior that all, all of her alledged visions and messages were nothing and false. Then one day Our Lord appeared to her, showed her his Sacred Heart and said, "Behold this Heart. It is the sanctuary of the miserable. It is the crucible in which the most defiled are purified; and then filled with great love." Such astonishing hope, promise and love. 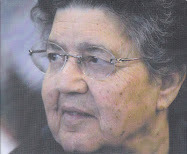 Thank you for your comments and also the additional information on Sr. Josefa. I have read in the lives of several Saints where the devil sought with a hellish vengence to convince the saint that their visions were not real, causing them periosds of uncertainty...it is a horrible temptation and trial that we can only imagine. Anyway, thanks again and may God bless you and your loved ones. Thank you so much for including her and the photos in particular. She is known to be an extremely powerful intercessor, and is a wonderful example of a true mystic against so much pseudo-mysticism today. I am concerned though, that your quote of hers, taken out of context, gives the idea that Jesus gave her a message of universal salvation, or at least that the vast majority of people are saved- an all too common error since VII. This is a saint (as I truly believe her to be so) who made numerous descents into hell, who was attacked by the devil, who Jesus asked to give herself as a victim soul to save souls from going to hell. That is an important part of His message of mercy; that His mercy is first and foremost shown in the salvation of souls. All else is secondary to that, and her life was an incredible witness to this. Again, thank you and God bless your work! I struggle with anger and impatience and it really brings me down. Every time I try to let go of those things, they come back to haunt me. It makes me question how Christ can still love me. Reading His words to Josefa has given me so much hope; I'm so glad I found this site :) I'll be asking for Josefa's intercession a lot in the next few days! Thank you so much for creating this site! You make a very good point that the quote of Josefa can possibly be taken out of context, to give the idea that Jesus gave her a message of universal salvation. Without a doubt her mission (and the mission of all the victim souls throughout the history of the Church) is strictly a participation and union in the ongoing redemption of humanity, in union with Jesus sacrifice on the cross. Humanities salvation came solely and strictly through Jesus passion and death on the Cross, however the mission of the victim souls (like Josefa) is to "make up for what is lacking in the sufferings of Christ" as St Paul states in his letter to the Colossians (Col. 1:24). Therefore like your rightly point out, the mission of the victim souls deals not in the salvation of humanity, which was obtained once and for all by Jesus passion and death, but the ongoing redemption of humanity, that is, obtaining the graces necessary for the ongoing redemption of individuals by an offering of one's sufferings and sacrifices in union with Jesus. This, essentially is the mission of the victim souls. Thanks again for your excellent comments and may God bless you and your loved ones. I read somewhere that Sister Joesfa is very powerful, all prayers are answered by her. Has anyone experienced her grace? If yes, then please do share your experiences. I mentioned in my initial comment on Sister Josefa that both her sisters, Mercedes and Angela, entered religious life. 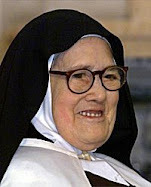 Well, I found out on the Belgian website, 'l'Oeuvre-du-Sacre-Coeur', that Angela, who became a Discalced Carmelite in 1926, and was sent to Portugal in 1933 to restore the Carmel of Coimbra was-are you ready for this?-THE NOVICE MISTRESS OF SISTER LUCIA OF FATIMA! 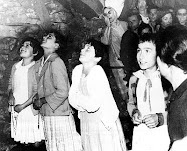 Yes, Sister Madeleine Sophie of the Sacred Heart (Angela's religious name) was Novice Mistress in Coimbra when Lucia entered Carmel in 1948! So she must have lived until at least the early 1950s! In the 'photo gallery' on the Belgian site, there was another link to the photos. When you run your mouse over them, there are short captions in French, Spanish and English. I was floored when I found out about Angela Menendez and her 'connection' to Sister Lucia! I agree that "The Way of Divine Love" is really a awesome and inspiring book...and I too hope that Sr. Josefa will someday be declared a Saint in the Catholic church, God willing. I have never felt such soothing words in my whole life.I shed tears as I read even the abridged version of The Way Of Divine Love,let alone the full version-what a loving GOD we have,but then I find it difficult to persist sometimes...God help me. God is using you so very obviously to educate some of us ignorant catholics re the Way of Truth - reading the saints and the messages gives me hope to strive in our litle daily lives with all its trials and suferings - knowing that we are rewarded with grace to unite ourselves to Christ suffering. 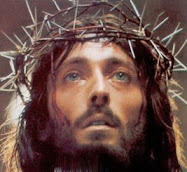 God bless you immensely for making our Christianity worth living to save souls Merci Beaucoup!!!!! I cannot accept that most souls go to Hell. em primeiro lugar gostaria de agradecer pelas fontes sobre a Irmã Josefa, minha mãe teve este livro, mais antes que pudesse terminar de ler, emprestou a um missionário, católico, e este não voltou para devolver, minha mãe se sente muito triste por não ter terminado de ler o livro. Gostaria de saber onde posso compra-lo aqui no Brasil pois não acho! Seria de grande alegria a ela. minha mãe se emocionou ao ver a foto da Irmã Josefa por tamanha devoção. Me Respondam com urgência! Desde de já obrigada. Fiquem na paz de Deus! In response to a comment posted by "Anonymous" on July 4, 2011 at 3:20 PM in reference to Sister Josefa Menendez being a powerful intercessor. Yes, Sister Josefa is extremely powerful and helpful as an intercessor by the Grace of God. I have personally called upon her intercession in 1999 and again in 2009 for serious situations and god saved me through her intercession. I by chance came across a website with her picture and history in 1999 while going through a difficult period and I am very thankful for her powerful intercession. Sister Josefa will answer you and help you if you ask for her intercession and love. Thank you God and thank you Sister Josefa Menendez! Glory be to the Father, Son and the Holy Spirit. As it was in the beginning, is now and ever shall be. World without end. Amen. Sister Josefa has just interceded for me once again last week in what was an extremely serious situation. God our Father has shown his Divine Mercy through her once again. Call upon Sister Josefa's intercession in your time of need and you will se that Our Lord will show his Divine Mercy upon you. The graces I recieved reading The Way of Divine Love was instrumental in my conversion to the Catholic Church . 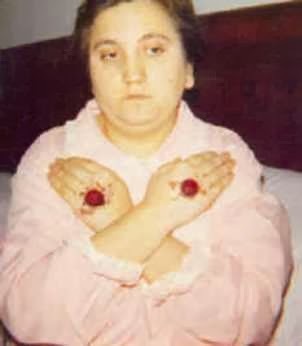 Also when I fell away from my faith and went through a period of intense depression and anxiety, I prayed to Sister Josefa Menendez asking for her intercession to return to the church and to give me back my faith, my prayers were answered in a powerful way! exposure here on the internet because she seems to be hidden and not as well known as Saint Faustina and the Divine Mercy Devotion. I'm thinking maybe she laid the foundation for the Divine Mercy Devotion, since both messages are similar and Sister Menendez revelation came just before Saint Faustina's message? These articles never fail to touch me. I love the story of Josefa, it so reassures me of God's love and His presence in the Blessed Sacrament. Today, it has given me hope that having fallen so repeatedly, I can still return to Our Lord. Thank you Jesus. Peace be with you, Sr. Josefa. Please intercede for me concerning the petition i now make to God. Am a Catholic but never heard of Sr Josefa Menendez till today. As i was reading a spiritual book (sins of impurity) i reached to a page where it was written that a mystic and a victim soul, Josefa Menendez in her visions of hell wrote: "I saw several souls falling into hell, and among them was a child of fifteen years, cursing her parents for not having taught her to fear God nor that there was hell. Her life had been a short one, she said, but full of sin, for she had given in to all that her body and passion wanted in the way of satisfaction, especially she read bad books. I was not satisfied after reading this because i know not Sr Josefa Menendez, i picked up my mobile, clicked Josefa Mendez in google and that is how i met this site. I thank the God almighty for the grace of been in this site, though much was not written, but the few is enough for my soul. My gratitude also goes to the owner of this site and those that commented, your comments are really inspiring. May God bless you all. 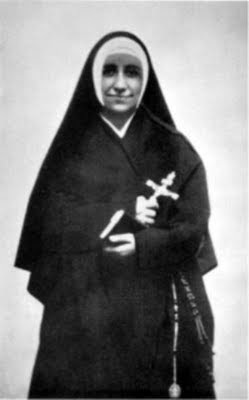 Sr Josefa Menendez 'pray for us sinners. AMEN. I wanted to thank the webmaster for this and all the precious articles. I have recently returned to my Catholic faith and this site is an immense inspiration for me. I have been moved by may of the articles, but this one brought me to tears. Thank you for your good work. You are doing something of great merit. I am planning a trip with my youngest daughter to France in August, could you send me the address of the abbey, perhaps also the contact information. I named my youngest with Josefa in mind. Would dearly love to visit there with her. To all my brothers and sisters in Christ, the above link will take you to a friend of mines (attended my wedding on October 7, 2000) website where you will find all the prayers that I could find that were given by Our Lord to Sr. Josefa and found in the book "The Way of Divine Love". I had gathered them a while back and sent him an email asking him to include them in an article on his site. Most are prayers of reparation to Our Heavenly Father and are very powerful and beautiful. God bless you all and pray for me as I will for you all. Thank you for introducing me to whom I now consider my "Spritual Big Sister, Pepa". She has literally changed my perspective on just how intimate our God would like to be with us. I weep every time I pick up her book - there is a very rich and fortifying theology found therein. I pray for her Canonization and hope to be able to see it, perhaps attend it, in my lifetime. All the Best for your efforts and you will remain in my prayers! Thanks Mark for your kind comment and most especially your prayers. I am really happy to see how Sr. Josefa has been a great inspiration for you. I too hope that she will someday be canonized. Sr. Josefa, pray for us! I love you, Sr. Josefa. Pray for us. Thank you Sister Josefa for your inspiring life. I pray that some day you will be canonized a Saint in the Catholic Church. Pray for us Sr. Josefa. Hi, I am a Charismatic Pentacostal, and have misunderstood and mistrusted Catholism for as long as I have been saved. Reason being, most Pentecostal christians do not know anything much about Catholics and have painted them with the same brush of being deceived, idol worshipping, bible twisting people. 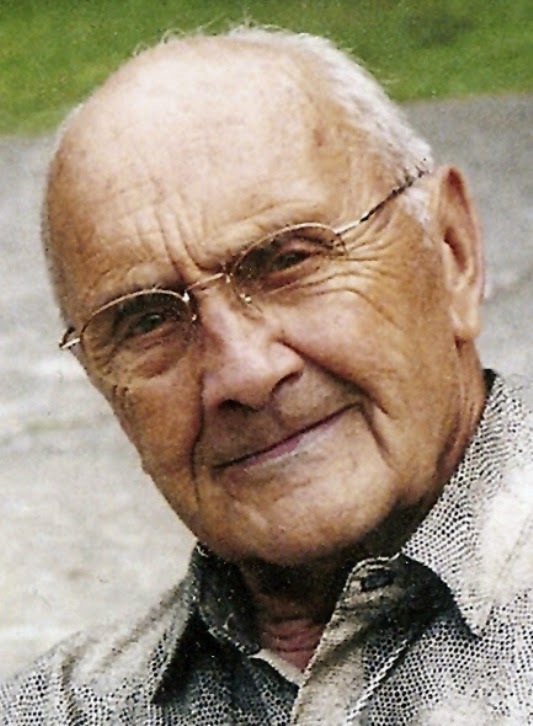 I have spent the past 2 weeks on your website, just reading non-stop and repenting and just asking God to open our eyes and see the wealth of revelation and depth of revelation in Catholism and how the whole body of Christ can benefit and grow from the wonderful lives of these Saints. I'm in awe of their depth of love for Christ and how He has been generous in the graces He has given these wonderful, humble saints. I don't know how this gap can be bridged between Catholics and Protestants but your website is doing a great job in doing that. So thank you very much and I am forever changed and blessed by your website content. I just thank Jesus that He has finally opened my eyes and i pray that He will continue to open the eyes of most Protestants. PS God is doing something, I know that Brother Lawrence's "Practicing the Presence of God" booklet has been making its rounds in the last decade or so and changing lives as Pentecostals started having encounters with God through it. I've also read St Catherine of Sienna, Teresa of Avila books and more. I can't stop talking about these Saints. Blessings, One in Christ Jesus. Thank you for your kind comments. I am really happy to hear that the mystics/persons on this website have been a great source of inspiration for you, and that they have led you closer to Jesus. 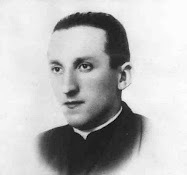 Blessed SrJosepha, was a Roman Catholic sister, who was honored with visits from Christ, Who revealed His Sacred Loving Heart. Neither Christ, nor she, spread the heresy of universal salvation. That is, salvation for ALL. Christ died for all, but, His death/sacrifice, is EFFECTIVE, ONLY for those souls who respond as He Commanded - He revealed His Truth, to His revealed, Church. The ONLY appropriate response, the ONLY salvific, response, is to join His Catholic Church. Christ stated on multiple occasions that NO salvation is found, outside of Him. Sr Joseph a did not 'reveal' any doctrine, other than The Catholic doctrine. For critical information on The Faith, whole and inviolate, as revealed by Christ, and practiced by His saints and martyrs, see www.vaticancatholic.com.NOT, to be confused with the non catholic,masonic, 'vatican2' sect, kick started by self excommunicated mason, roncalli(aka john 23)through, and including, current anti pope, jorge 'francis'bergolio. As one familiarizes himself w/Catholic Teaching/Tradition, the 'vatican2' sect, and corrosponding antipopes, CLEARLY, depart from The Faith. the vatican2' sect is apostacy from Catholicism. Read the plot against the church,by multiple cardinals, Faithful to Catholicism. 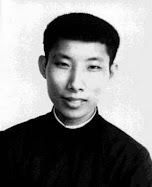 These cardinals, used pen name of 'maurice pinay', attempted to warn Faithful of the robber council of 'vatican2', w/bk,'the plot against the church'- aside from going to www.vaticancatholic.com it may be ONE of the most important books, that we have EVER read. As Christ, truthfully noted,'for what advantage does one gain, if he loses his soul'? It seems that you have been led astray; there is no "Vatican 2 sect": there are only those who follow the Church and those who do not. A hermeneutic of continuity is necessary, if we are to understand Church teaching. The writings of Fr. William Most are helpful in this regard. I came to this website through Google after getting a copy of the "I Wait For You" booklet at my local parish. I never knew. Thank you so much for hosting this website. One of the things I have always remembered about Sr Josefa was when she went to Hell 3 times in order to free a Consecrated soul from sin. How wonderful!! Thanks for this story about this wonderful nun. I have read The Way of Divine Love and it is most inspiring! It is a classic & I am in awe of how much Sister Josef a suffered! Sr. Josefa Menendez answered my prayer. I post this in thanksgiving to her and encourage others to pray to her. I also saw a girl that looked exactly like her. Who knows, maybe she was related to her. O little Josefa, beloved of Our Lord, listen to my plea! My heart is pierced with grief and my hope is fading quickly. I turn to you for assistance, O holy victim of Divine Love! During your life, the glory of Christ's Heart was poured out before you exposing your unworthiness and deepening your dependence in His Mercy. Inspired by your example, i place my needs before you humbly asking for your prayers and intercession so that Jesus may grant me my request [state intention]. Hi can anyone help me? I am looking for the holy card they made from Sister Menendez's book. 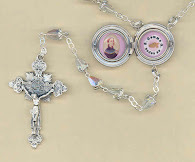 On the back is a Novena of Confidence and on the front is a picture of our Lord with his arms stretched out with words at the bottom "Com to Me". I have been searching for hours on the internet and have not found anything.